Borderlands 2 Handsome Jack Makeup Tutorial « Adafruit Industries – Makers, hackers, artists, designers and engineers! The characters of Borderlands 2 have distinct, stylized looks. We’ve seen it in cel-shaded jeans, and that same look applies to the skin. It’s almost like the characters live in a comic book. 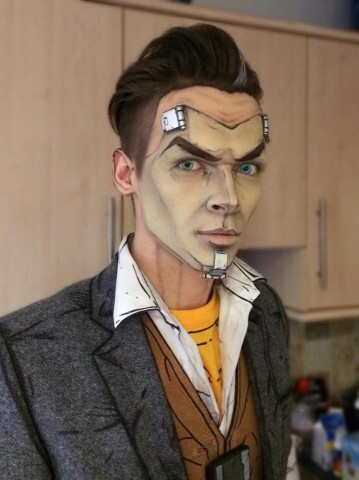 Handsome Jack in particular has an interesting design, and makeup artist Shonagh Scott applied his look to a model – also named Jack. She used cream products and eyeshadows to create the look, and while the process looks involved, you could replicate it with some patience. Scott goes over each step in the below video. It’s fascinating. Be sure to check out Scott’s other videos for more tutorials.